Who will save our Na’vis? Long before they gained currency as the real-life counterparts of the Na’vis portrayed by Hollywood blockbuster “Avatar”, the author of the Vedanta verdict — Justice S H Kapadia — had made clear about how he saw the Dongaria Kondhs, who are officially classified as “primitive tribal group”. Kapadia, now chief justice of India, described this tribe from Orissa as a people “living on grass”. His unflattering, almost dismissive description came in a 2008 lecture, barely four months after his last order in the case. Given his choice of words, it is no surprise His Lordship found himself on the wrong side of history last week. In a bizarre reversal of roles, environment minister Jairam Ramesh all but overruled Kapadia’s decision to grant the bauxite mining project the right to clear the forests in the Niyamgiri hills, where the 8,000 Dongaria Kondhs live. Clearly, the lapses that have come to light go beyond Vedanta and the Central and state governments. They extend to the Supreme Court as well. Kapadia did not call the Dongaria Kondhs grass-eaters in either of the orders he wrote in the Vedanta case. But the fact that he did so in a public lecture, which was reproduced in full in a law journal, may underline all that was wrong with the basis of his judgment. In the modern idiom, he might have seemed to have shown where he was coming from. Did he? Why did he call the tribe grass-eaters? He was seeking to justify the circumstances in which the court had come up with an economic formula — 5% of the project profits would go to tribal welfare — ostensibly to balance the conflicting interests of development and environment. But, as the government-appointed Saxena committee recently pointed out, the Dongaria Kondhs don’t really need such intervention. Far from living on grass, they are known to be skilled horticulturists and earn handsome profit from growing pineapple, mango, banana, orange, lime and ginger. So much for Kapadia’s indiscreet dismissiveness. But it pales when examined alongside the repercussions of the two SC orders in the Vedanta case. Ramesh’s decision is, after all, limited to scrapping the mining proposal despite the court’s decision to grant forest clearance to it. He could not do much about the even more damaging alumina refinery because it has already been built, with the court’s blessings, at an estimated cost of Rs 4,000 crore and is in production. All that the minister could do is to issue notices seeking to know why the environmental clearance granted to the refinery should not be cancelled. The other notice asks why an application to expand its capacity six times should not be spiked. The refinery is located in the foothills, in Lanjigarh and was predicated on the mining of bauxite from Niyamgiri. Since it has been running for the past three years with ore from sources other than the Niyamgiri hills, the refinery has already wreaked havoc on its pristine environs. The air of the ecologically sensitive area is now polluted, the level of effluents in the Vamsadhara river is at unsafe limits and the ground water has been contaminated. So what does all of this tell us? Not just that Kapadia had a relatively unreconstructed view of forest tribes but that the court has been shoddy about its self-appointed task of overseeing the regulation of forests through a special bench and a central empowered committee (CEC). The blunder of allowing the refinery at Lanjigarh could have been averted had the court taken prompt action on the petition filed before its CEC in November 2004. The petition was filed well before construction work began at the site and pointed out that Vedanta had obtained environmental clearance without disclosing that the Lanjigarh refinery was predicated on the mining of bauxite from Niyamgiri. In September 2005, the CEC recommended the environmental clearance be revoked but the court properly heard the matter only in April 2007, by which time the refinery had been built and started to operate. When the court passed its first order in November 2007, it declared that the refinery would be allowed to operate provided Sterlite, a subsidiary of Vedanta, adopted the rehabilitation package it had devised. But when Sterlite accordingly came forward with a fresh application, the court’s final order of August 2008 said nothing about whether the environmental clearance given to the refinery was valid or not. Instead, the court granted forest clearance to the mining project on Niyamgiri, although it was an independent issue. This led to an anomalous situation. Responding to a query from the environment minister last month, attorney general Goolam E Vahanvati was reduced to saying that the apex court’s decision to grant forest clearance to the mining project was not binding on the government. Reason: the government alone is authorized by law to decide whether such clearance should be granted or not. The court’s forest bench clearly needs to learn the lessons of the Vedanta case. Else, how are we to save our 21st century Na’vis? Terming the Bhopal gas tragedy the worst preventable industrial disaster, and an egregious violation of human rights of thousands of people, former Chief Justice of India J S Verma has offered all help with his legal opinion as a concerned citizen in the case and emphasised that judiciary has a very important role to play in the issue. ‘What really is required to be done in a case like this is to identify the victims, to identify what were the remedies to which they were entitled at the time of the disaster and identify the violation of human rights,’ Justice Verma said at 4th annual Col Ajay Narain Mushran Memorial Lecture. Highlighting that how important the role of Indian judiciary was in the case, Justice Verma said, ‘Judge Keenan, who heard the Bhopal case in New York District Court had the audacity to state that to hold the trial in an American court would be nothing short of subjecting India to ‘imperialism’, and imposing the ‘standards and values’ of an advanced country on a ‘developing nation.’ ‘Para 34 of the judgement reads: The court would decline to play such a role, for to deprive the Indian judiciary this opportunity to stand tall before the world and to pass judgement on behalf of its own people would be to revive a history of subservience and subjugation from which India has emerged,’ he said. Charting some of the legal course which India could benefit from, he said the earlier order of the Supreme Court on the Bhopal incident may now be challenged on the grounds that it was a miscarriage of justice. Talking about curative petition, Justice Verma said, ‘The evolution of this remedy has proved that the Supreme Court is final but not infallible. He also outlined the basis of petition lay in Para 38 of the 1989 judgement in gas leak case which talked about undoing any injustice by procedures recognised by the law, one of which is curative petition evolved by the Supreme Court in Ashok Hura v Rupa Hura case. ‘A revision under Section 397 CrPC in HC against the judgement of the CJM on the grounds that the trial court should have committed the case to the Sessions Court under Section 323 CrPC for trial under Section 304 PT.II on the evidence adduced to prove the ingredient of knowledge found wanting at the stage of framing charge; An appeal also to the sessions court under Section 377 CrPC on the ground of inadequacy of sentence because of the lesser charge under Section 304A, IPC and failure to invoke Section 323 CrPC, as an abundant caution,’ he said. ‘An application in the trial court in the pending separated trial of Warren Anderson for alteration of the charge to Section 304 Pt.II, IPC invoking Section 216 CrPC for its collateral impact. Pursuing extradition is significant for this reason alone,’ the former Chief Justice of India commented. On violation of human rights, Justice Verma said the United Nations General Assembly had adopted the basic principles and guidelines on April 19, 2005 from a victim-oriented perspective, wherein it clarifies the ‘existing scope of right to remedy of a victim of such a disaster’, which includes reparation, restitution, rehabilitation, satisfaction (in terms of compensation) and guarantee of non-repetition. He laid emphasis on the term ‘clarify’ to note that all the remedies mentioned above existed at the time of the disaster too and the guarantee of non-repetition is where the duty to clean the toxic waste still lying there comes up. Justice Verma added that these basic principles can be read into Article 19 (right to life) of the Indian Constitution by virtue of the Supreme Court judgement in Vishaka case wherein it has been said that international laws, not in conflict with the Indian laws, can be read into the latter. Justice Verma also said that one of the laws that make our case even stronger and fixes the liability on the accused is the polluter pays principle (PPP). PPP is a principle in international environmental law where the polluting parties are made liable to pay for the damages they cause to the natural environment. This will also bring in the aspect of dumping of toxic waste by Union Carbide much before the disaster. On the controversy of victims being asked to prove that they were affected in the disaster, Justice Verma said what greater proof is required than the diagnosis that the person is suffering from an ailment because of MIC. Recognising the obligation that lay on every Indian citizen, he said, ‘Anytime any lawyer fighting for the cause, I am very much there. It is an obligation on all of us to do whatever we can for the people of Bhopal.’ He also offered all the legal advice to advocate Vivek Tankha, who presented to represent the state of Madhya Pradesh in the case. 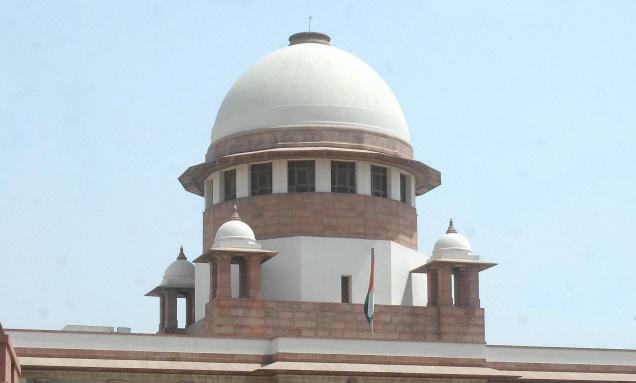 The Centre, besides taking fresh efforts to seek the extradition of the former Union Carbide Chairman, Warren Anderson, will file a curative petition in the Supreme Court by July 15 for a review of its 1996 judgment that diluted the charges against the accused from culpable homicide not amounting to murder (Section 304-II) to criminal negligence (Section 304A) of IPC. The Centre had already accepted the recommendations of the Group of Ministers that the Central Bureau of Investigation, with the assistance of the Ministries of External Affairs and Law and Attorney-General G.E. Vahanvati, should put together additional material in support of the request for Mr. Anderson’s extradition with the U.S. government.The Attorney-General is examining the materials in the government’s possession and is seeking various details and records to enable the government to file a proper curative petition once the Supreme Court reopens after summer vacation on July 5. Mr. Vahanvati was of the view that although the trial against the nine accused in the gas leak case was for an offence under Section 304A, the evidence on record unmistakably “points to graver offences including an offence under Section 304 (II) IPC.”The curative petition will seek reconsideration of the judgment dated September 13, 1996. It will also seek reconsideration of the compensation amount earlier settled at $470 million. The Centre will also file a revision petition before the Madhya Pradesh High Court against the trial court’s verdict (awarding a two-year sentence to the accused) with a direction to set aside the order. Alternatively, an appeal might be filed before the Sessions Court to correct the errors in the sentences imposed. Applications might also be filed before the High Court to expeditiously decide the question of liability of Dow Chemical Company and/or any other successor to the UCC/UCIL. It was felt that once this question was decided, the various legal proceedings involving Dow Chemical Company and any other person or company found liable could be taken forward.It was pointed out that the Ministry of Chemicals and Fertilizers had filed an application in the High Court in 2004 in a pending writ petition to direct the respondents Dow Chemical, UCC and Eveready Industries India Ltd. to deposit Rs. 100 crore for environmental remediation and the matter was still pending. The liability of Dow was being contested in these proceedings and it was essential it be first settled before any proceedings could be taken against the company. FALI NARIMAN DEFENDS HIS DECISION TO DEFEND UCC. …The allegations in the article about the Union Carbide Corporation (UCC) litigation in India, in which I was the lead counsel, are factually incorrect. The assertion that repeated attempts to delay proceedings were key elements of Carbide’s court-room strategy”, and the veiled suggestion that “crass legal antics” played a part in the outcome of the case, are entirely contrary to the record…. There was no appeal from this order by anyone, neither by the Union of India (nor) by any organisation representing gas victims in the suit. Meanwhile, on December 17, 1987, District Judge Deo passed an order directing UCC to deposit Rs 3,500 million as “substantial interim compensation,” without deciding liability. UCC approached the High Court of Madhya Pradesh in revision: the revision petition was admitted on February 1, 1988; and after an expedited final hearing, the High Court (on April 4, 1988) modified the order of District Judge Deo and passed a decree for “interim damages” in the sum of Rs 2,500 million. Appeals were filed by UCC and by the Union of India from this judgement of the High Court. Both appeals were admitted by the Supreme Court of India on September 8, 1988. UCC did not ask for any stay of the High Court order for “interim damages”, and the Union of India made no attempt to execute the order of the High Court though expressed to be executable as a decree. Meanwhile, further hearing of the suit proceeded in Bhopal, but not before Judge Deo: the suit was transferred from his Court on the specific directions of the High Court since he had wrongly prejudged the merits of the case and had thus not acted with “strict judicial impartiality” (paras 53 and 55 of the order of the High Court dated October 13, 1988). Repeated efforts were made to proceed with the trial, but even an order for mutual discovery of documents was resisted by the Union of India. More than a year and half after the suit was filed the Union of India stated to the Court, on an affidavit (filed in June 1988) that “the stage of discovery has not yet reached”! The trial of suit could not therefore begin…. A group of Bhopal gas tragedy victims has returned to the Supreme Court to seek a promise the country’s highest court made them 21 years ago. Their petition quotes the Supreme Court’s assurance given in the Union Carbide v. Union of India verdict of 1989 that it “will leave no stone unturned in undoing any injustice”. The eight petitioners, led by Abdul Jabbar Khan of the Bhopal Gas Peedith Mahila Udyog Sanghathan, claim that “circumstances have changed” and, 26 years after the tragedy, it is time for the Supreme Court to review the compensation doled out to victims as per the Bhopal Settlement struck between the Union of India and Union Carbide Corporation (UCC), USA, under the aegis of the Supreme Court for a sum of $470 million on February 14/15, 1989. A special three-judge bench led by former Chief Justice of India KG Balakrishnan on April 23, 2010 agreed to hear the victims once again and issued notice to the Union and the Welfare Commissioner’s office. The fate of the matter now lies in the hands of the present CJI S H Kapadia. Advocate Aagney Sail, counsel for the petitioners, says that one of the “circumstances” which have changed over the years after the tragedy is the “unjustness of compensation in the event of aggravation of injury” where victims have died after several years. The June 7 verdict on Bhopal has led to widespread shock. But instead of thrashing about one’s hands in anguish, there is need to light up the path of resolution. Former Chief Justice of India J S Verma gives his concrete suggestions on the way ahead. The Bhopal gas tragedy was the worst preventable industrial disaster, and also an egregious violation of human rights of thousands. A settled principle of human rights jurisprudence requires “reparation” as the appropriate response to victims of gross violation of human rights. The main forms of “reparation” are: restitution, compensation, rehabilitation, and guarantee of non-repetition. Duty to prosecute perpetrators is included in reparation; impunity is in conflict with this principle. A pro-active approach by the judiciary can ensure justice to the victims. Article 32 is the “soul” of the Constitution and article 142 is the additional plenary power given to the Supreme Court “for doing complete justice in any cause or matter”. A more appropriate cause for discharge of the constitutional obligation is difficult to visualize. The established remedy of a “curative” petition under article 32 in the SC to set aside its own erroneous judgment is derived from it. So, how best to do complete justice to the victims? The want of ingredient of knowledge that the act was likely to cause death was the reason for reducing the charge from Section 304 Pt II to Section 304A, IPC. Brief reference to the then existing law is relevant. The India law is, thus, stricter on the point. The criminal liability determined even under the less stringent English law in these circumstances amounts to manslaughter (culpable homicide). The underlying principle, that killing by gross negligence is constructive manslaughter under English law was reiterated by the House of Lords in 2 All ER 365 (HL), to hold that a defendant can properly be convicted of manslaughter even if he did not foresee that his act might cause harm to another. Further in 4 All ER 295 (CA) it was held that a person will be criminally liable for involuntary manslaughter, if the act results in death, even if the victim has consented to take such a risk engaged in some joint unlawful activity. Thus, it is difficult to support the view taken in the above 1996 judgment, by the Ahmadi Bench; that too at the preliminary stage of framing charge when interference is rare. Conviction for a lesser offence than the charge framed is anyway permissible.